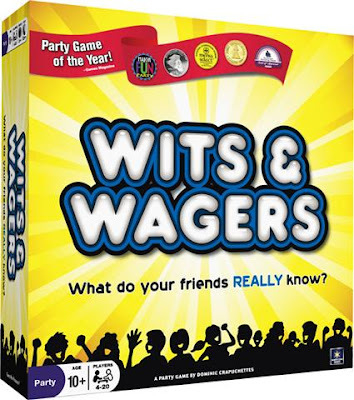 Thanks for posting the non-fugly artwork for Wits & Wagers, as well as covering the pre-release of the Expansion Pack. You are the first person to cover it! What, no link to North Star Games in your "great game companies and publishers" list? LOL, just kidding about that. Thanks a lot for the coverage.